Sandy Brewer's award-winning, compelling, non-fiction hardcover Pursuit of Light,An Extraordinary Journey reads like a novel--and grabs you from page one! It's an "I couldn't put it down" read that you won't want to miss. It is a powerful page-turner that beautifully demonstrates the triumph of the human spirit. As one reviewer recently put it, "I first read Pursuit of Light and was completely drawn into the story. Then I re-read it and realized how truly brilliant it is. Each story has a point that would in some way apply to everyone's life even if the circumstances are quite different." Pursuit of Light is filled with grace, wisdom, humor, pathos and passion as Sandy presents an inspirational, heart-expanding point of view that embraces a new vision for understanding our purpose in life and the connection to the love that is inherent within all of us. With wisdom and authenticity, Sandy offers practical steps on how to use the baggage/stories of the past as tools for personal growth, development and freedom rather than allowing them to continue to be stumbling blocks today. Hers is a journey that demonstrates that we truly can become all that we are meant to be. *Pursuit of Light, An Extraordinary Journey has received three literary awards in recognition of its excellence. 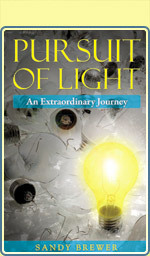 Pursuit of Light, An Extraordinary Journey was named as the Award-Winner in the Best New Non-Fiction category of the 2009 National Indie Excellence Awards. 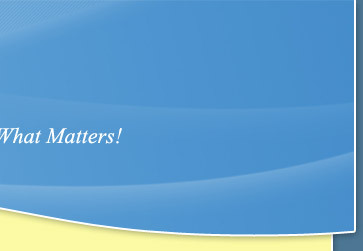 The Indie Excellence� Awards competition is judged by an independent panel of experts from all aspects-editing, marketing, publicity, and design-of the publishing industry. Pursuit of Light, An Extraordinary Journey received Best Award presented by the prestigious Eric Hoffer Awards for the best Self-Help/Spiritual category as a riting of significant merit. The Eric Hoffer Awards honor the memory of the great American philosopher Eric Hoffer by highlighting salient writing. Pursuit of Light, An Extraordinary Journey was also name the Winner of the National Best Books 2008 Awards sponsored by USA Book News for Best Biography.